For a guy with a theremin player at his disposal, singer/songwriter John Washburn is a bit too hard on himself. 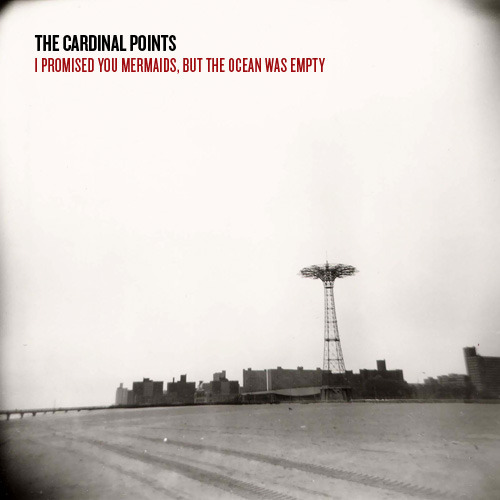 A thoughtful band in the Indie Britpop vein of Blur or Pulp, The Cardinal Points’ debut EP ‘I Promised You Mermaids, But The Ocean Was Empty’ finds Washburn with some mixed up plans, but good intentions nonetheless. This entry was posted in review and tagged mermaids on November 1, 2012 by thecardinal. This entry was posted in link, review and tagged mermaids on October 5, 2012 by thecardinal. D’une durée de vingt minutes, ce premier EP démarre sur le morceau qui nous a fait connaître cette bande. ‘Strangest Days‘, titre véritablement taillé pour la radio avec son refrain efficace, sa guitare tantôt appuyée, tantôt aérienne, son thérémine du plus bel effet et un final avec trompette. La perle de ce disque, tout simplement. This entry was posted in review and tagged mermaids on September 19, 2012 by thecardinal.